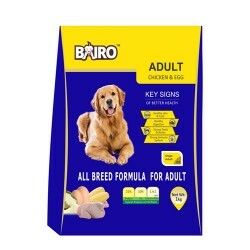 Product Deatails - Ingredients- Chicken and Egg , Nutritionally,complete,No artificial colours and flavours,Highest factory standards, Quality ingredients, Suitable- Adult Dogs, Quantity -16 Kg. 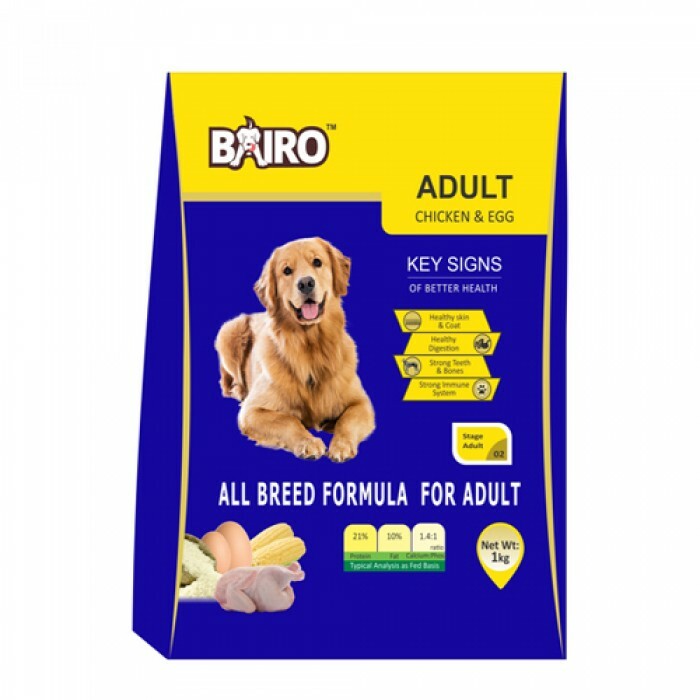 Product Information-Bairo chicken and egg is specially formulated for growing puppies and adults. It contains real chicken as number 1 ingredient to build and maintain lean muscle mass for top body condition. With only the finest ingredients it contains what your dog needs to stay happy and healthy. A great combination of ingredients, vitamins, minerals and nutrition for everything from strong bones to optimal digestion. Drools chicken and egg is developed to help your dog live a long and healthy life. Omega 6 and 3 fatty acids to help your dog have healthy skin and beautiful coat. Chicken, whole dried eggs, corn, rice, wheat, corn gluten meal, fish oil, soya refined, corn oil, lecithin, essential amino acid, minerals, vitamins, salt and antioxidants.